“Through the first six months of this year we will be delivering 11 marquee events, which includes matchups of five top-ranked fighters, of which this is one, and two unifications, of course which this is one. In this month of March all four heavyweight world title belts are at stake on SHOWTIME. “This fight, Joshua vs. Parker, will be the 12th heavyweight fight on SHOWTIME within the last three years. We’re proud to be doing our part to help propel the reinvigoration of the heavyweight division. 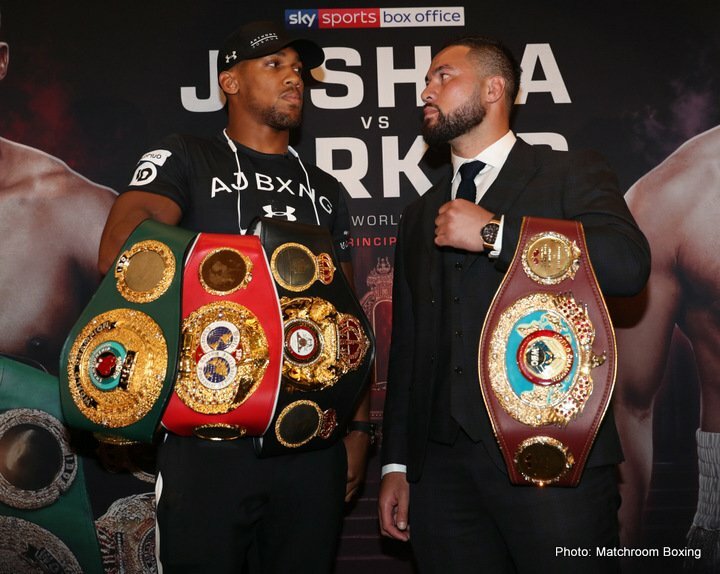 During those last three years the U.S. audience has gotten to know a little bit about Anthony Joshua and we are very happy to be able to further introduce them to Joseph Parker, the consensus top three heavyweight in the world and WBO Champion making his third defense and his first appearance on SHOWTIME. Q: When you watch the struggles Joshua had against Klitschko, what do you take away from that fight? Q: There’s so much attention paid to an Anthony Joshua-Deontay Wilder fight, as if it’s an assumption that he’s going to beat you. Does that bother you? Q: As a fan of boxing, how good is a match like this for the sport? Q: A lot of fans don’t know you in the United States, explain to them what you will bring to the table on March 31. Q: What was the reason behind losing weight heading into this fight? Q: Do you think Joshua and Eddie Hearn saw something the rest of the world didn’t see in your fight against Hughie Fury, which wasn’t your best performance? Q: What would it mean to you to become the unified heavyweight champion? Q: Are you concerned that if the fight goes to the scorecards you won’t get a fair shake because of Joshua’s popularity in Great Britain? Q: Do you think Joshua is underestimating you based on what they saw in that fight against Fury? Q: What did you think of Joshua’s performance against Takam? Q: What do you think your advantages are over Joshua? Q: Do you want to make a prediction for the fight? Q: Do you think that Joshua’s chin is a big weakness for him?